What exactly are the best fishing movies of all time? If you are an angler or a fishing enthusiast of any sort, you probably love getting as many trips to the waterside as you can. Sometimes, though, actually doing it is not humanly possible— family birthdays, high school reunions, and job obligations are a thing too! But, when you can’t get your dose of real life fishing, not all is lost. You can still get your fill of water, sea critters and relaxation in other ways: a good book, a magazine, or even a film about fishing. Even before I started practising the sport, I was fascinated by the charm of some old-school movies about the lifestyle, perks, and tribulations of angling. Chances are, if you are a real enthusiast, you’ll see yourself in at least one of these characters and storylines. From the compulsive liar to the ambitious scientist, everyone in these fishing movies has something to share or something to teach or inspire with. Which are the very best? 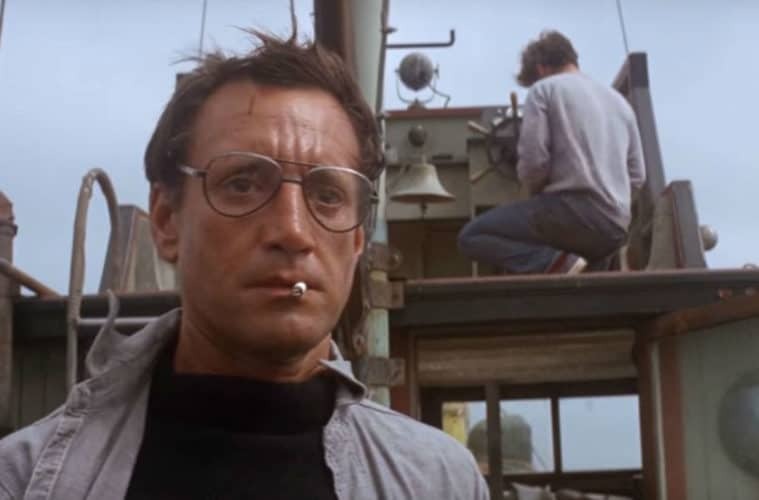 Well, here is our list of the best fishing movies of all time. There’s— at least— a bit of storyteller in every angler. Can you put your hand on your heart and say you’ve never told an exaggerated story of a catch or a fishing trip in order to magnify the effects? If you’re anything like me, been there, done that! The main character in Big Fish, however, takes this shared trait to the extreme. You’ll see the protagonist’s (allegedly) extraordinary life in flashbacks and might be left wondering what’s real and what’s not. Pro tip from our fictional angler: if you want to catch an outrageously big fish, just use your wedding ring as bait. Going on a fishing trip— whether alone or with a buddy— is supposed to be a relaxing, fun experience. That, however, is most certainly not what you get in 1997 Joe Pesci and Danny Glover movie Gone Fishin’. If you don’t believe something as calm as a fishing trip can devolve into maddening, comedic chaos, then you, especially, need to watch this film! Alamo Bay is a down-to-earth, powerful mid eighties drama that takes events that really happened in Texas and fictionalizes them. The result is a movie supercharged with political critique that still is entertaining to watch and, of course, orbits around fishing. The main storyline deals with a Vietnam vet that comes against fishermen immigrants, newcomers from Vietnam. It’s complicated and tragic, as well as very relevant to discrimination and immigration issues in ongoing social debate. A potent must-watch. If you’re more of a documentaries’ gal or guy, you’ve got to watch Low and Clear, a touching story captured by filmmaker Kahlil Hudson. This film is about the passage of time and life, and the effects of that on both nature and our human lives. You’ll get to explore the relationship between two once-close friends who reunite to go fly-fishing for the last time in a wilderness eroded by modernity. Here, hard topics are examined through the compassionate, patient lense of fishing. The end of the millenium came with a wonderful adaptation of the most representative book about fishing ever: Hemingway’s The Old Man and the Sea. Of course, there have been other ambitious adaptations, but this winner of the Academy Award for Animated Short Film takes gold. This short movie shows amazing artistry (they made the frames using pastels) and a childlike sense of wonder at the world around us. We can all do with a bit of that for inspiration! When you have to watch a movie with someone who isn’t into fishing (pfff) but still want it to be related, you can’t go wrong with this contemporary production. Featuring Emily Blunt and Ewan McGregor, Salmon Fishing in the Yemen feels active and innovative, for a rom-com. What is it about? Basically, the toils and troubles of a British government-employed fishing specialist who gets roped into the mad scheme of a filthy rich sheikh: introducing salmon into the Yemen river, in the middle of the desert. Any comedy that deals with such foolhardy interest in fishing has my full support. Perfect for those with a taste for the supernatural, Ondine is a whimsical fairytale set in an Irish fishing town. Starring big name Colin Farrell, Ondine tells the story of a commercial fisherman who finds a beautiful Selkie (a water nymph of mythology), of all things, stuck in his net. Funny, heartwarming, and mysterious, this film gives you that perfect combination of allure and reward that the ocean offers. This 90’s film is all about brotherhood and about the unbreakable, unshakeable bonds that fly-fishing creates between humans. With a young Brad Pitt, A River Runs through It is poetic, beautifully shot, and, at the same time, autobiographical. Travel to photo-ready, rural Montana to meet characters who are as crazy about fishing as they are about living life to the fullest. If you’re a fishing enthusiast and haven’t watched The Perfect Storm, I’ll vote to excommunicate you. Seriously, though: this movie gloriously portrays a group of seasoned professionals out at sea, facing the storm of their lives. As everyone struggles and bands together to meet the threat of Nature’s wrath, the particular power of fishing culture really comes through: the potential to bind one person to another, to create that sort of grit that makes people strive beyond all imagined barriers to achieve glory. Thanks to this list on the best films about fishing, you’ll never be stranded with nothing interesting to watch. You can get inspiration for your next trip to the waterside or just kick up your feet, relax, and enjoy the stories of characters who love the sport as much as you do! If you like our list, or hate our list and feel burning desire to mouth off then please comment below!